The much-anticipated “Geneva II” Syrian peace talks might not be held in Geneva due to insufficient hotel availability, UN-Arab League envoy Lakhdar Brahimi said in an interview broadcast Tuesday. UN Secretary General Ban Ki-moon finally set a date last week for the peace conference, which has been repeatedly postponed since June and is now set to kick off on January 22. The conference is due to begin on the same day the global elite gathers for the annual World Economic Forum at the swank Swiss ski resort of Davos and will also clash with a luxury watch fair in Geneva. The city’s hotels are fully booked, leading organisers to look for alternatives. One of them is Montreux — a scenic town at the other end of Lake Geneva and known for its jazz festival — to gather Syria’s warring parties for peace talks. “If we go to Montreux, it would be for just 24 hours, while waiting for the watch show and Davos to end,” Brahimi told RTS. Montreux is just over an hour’s train ride from Geneva, but the veteran Algerian diplomat explained that people who come to Geneva are often unwilling to accept a long commute. “If you go to New York, you know that it will take you an hour or two to get into town, and you accept that,” he said. She said no decision had yet been made. VIDEO — Chems in Syria: Cause for invasion or regime’s crime? The UN-Arab League envoy to Syria, Lakhdar Brahimi, says there’s evidence suggesting that some kind of chemical substance was used in an attack near Damascus a week ago – but that there’s no proof at this point that the Assad government is responsible. But, such an assault in itself could be enough for the US and its allies to launch a military offensive against the war-torn country – despite the UN and Syria saying the inspectors need more time at the site. RT has a panel of experts to talk to about the developments surrounding Syria. Marcus Papadopoulos – Middle East commentator and Editor of Politics First; Pavel Andreev – Executive Director of the Valdai Club Foundation, a discussion group of leading experts across many fields; Sunny Hundai – Editor of the political blog ‘Liberal Conspiracy’; Anissa Naouai – RT’s Senior Political Correspondent. The Arab League has held an urgent meeting on Syria at its headquarters in Cairo. The meeting was aimed at developing a unified Arab stance regarding the international efforts to find a political solution to the crisis in Syria. British Foreign Secretary William Hague has invited the leaders of Syria’s foreign-backed opposition coalition to London in a latest instance of foreign meddling in the domestic affairs of the Arab country. Hague said on Tuesday that senior members of the foreign-backed opposition, the so-called Syrian National Coalition, will attend meetings with top diplomats from the G8 leading industrial states ahead of a formal summit of the group. The individuals, including Ghassan Hitto, George Sabra and Soheir Atassi, are expected to ask for further support from the Western governments in their fight against the government of President Bashar al-Assad. The move by the British foreign secretary to invite members of the foreign-backed Syrian opposition, who are not considered representatives of the Syrian people, is considered the latest attempt by Western governments and their allies to interfere in the domestic affairs of Syria. Meanwhile, US Secretary of State John Kerry has said he would meet with Syria’s foreign-backed opposition leaders in the British capital, adding that the US administration is looking at possible ways to help the militants in Syria. Foreign ministers from eight countries – Britain, France, Germany, Canada, Russia, Italy, Japan and the United states – will hold formal talks on Thursday. The ministers will discuss the issues of Syria and North Korea. Hague also said that Britain and France would continue efforts to facilitate the arming of the militants in Syria. In another act of foreign meddling, the Arab League handed Syria’s seat to the so-called National Coalition during a two-day summit held in the Qatari capital, Doha, on March 26. Russian Ambassador to the UN Vitaly Churkin says his country will strongly oppose any attempt to give Syria’s UN seat to opposition forces. “We will oppose it very strongly, but … I don’t think it is going to happen,” Churkin said on Thursday. “They (UN states) value this institution, they understand that if something of the sort were to happen, that would really undercut the standing of the United Nations,” he added. Churkin also denounced a move by the Arab League (AL) to hand Syria’s seat to opposition forces, saying that the AL is now playing a ‘negative role’ in the Syrian conflict. The Russian ambassador added that the Arab League decision damaged its standing and undermined the efforts of UN-Arab League peace envoy Lakhdar Brahimi. On Tuesday, Syria’s opposition bloc, known as the National Coalition, took Syria’s seat during the Arab League annual summit held in the Qatari capital, Doha. The League also authorized its members to send all the means of what it called self-defense, including weapons, to militants fighting against the government of Syrian President Bashar al-Assad. 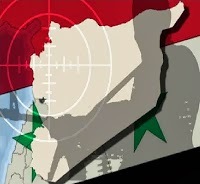 The comment comes as Iraqi Foreign Minister Hoshyar Zebari said in an interview that granting Syria’s seat to the so-called Syrian National Coalition (SNC) is the violation of the AL convention, the official Syrian Arab News Agency (SANA) reported. “The name of the League is the Arab League…representatives of the member states are the elected governments which have legitimacy, express and represent their people,” Zebari stated. Press TV has conducted an interview with Freelance journalist and political analyst, Ala’a Ibrahim in Damascus to further discuss the issue.